In the summer, the weather is great, so you don’t need many clothes to get out there and enjoy the weather. An old saying goes, “Look pro, feel pro, ride pro.” It’s appropriate because if your clothes fit well, and you feel good in them, you’re more willing to go out and ride your best. Cool socks especially tend to give salience to this phrase. Padded shorts- These are a must have in cycling. Kinesiologists have have concluded that a padded seat is not the best form of cushioning. A chamois (sham-wah) (shammy– the American slang) is a pad that is sewn onto the inside of a cycling short and provides cushioning that conforms to the shape of the body and moves with the athlete. In addition, cycling shorts must have a next-to-skin fit because they protect the skin from irritation and chafing caused by the constant and rhythmic pedaling motion. Pro tip: European style shorts run smaller. Example: If you order American brand Hincapie, buy your typical running short size. If you order Italian brand Castelli, or French-Canadian brand Louis Garneau, buy one size up! The only way to know what feels best is to try it on at a local bike shop- like VO2 Multisport! Shorts- These are held up by a waist band and they are common among beginners. Many triathlon shorts are like this, and feature a thinner pad for quicker drying during a race. Bibs- These feature shoulder straps to keep the chamois in place. They are superior in virtually every way possible but one: they are inconvenient when you have to go to the bathroom. Pro tip: when you wear these, wear the shoulder straps under your jersey unless you’re trying to make a joke! Baggies- If wearing tight shorts still isn’t your thing- like many mountain bikers- you can buy baggies. 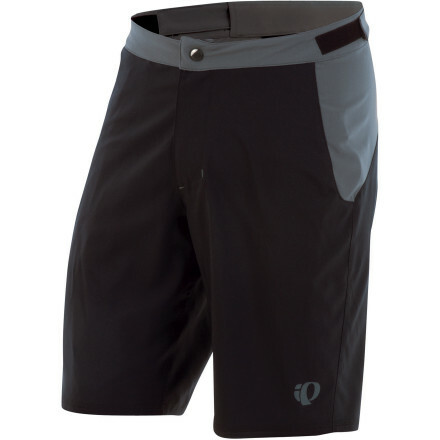 They look like hiking shorts, but have an inner liner with a chamois insert. Problem fixed! Jerseys- The way for you to show what team you ride on, or your individuality. There are many materials and brands, but here are our tips. Pockets- Bike Jerseys have rear pockets to safely stow your essentials like food, tools, phone and keys away from your legs. Materials- Jerseys are often made with polyester and wool. Polyester is strong, durable, vibrant, and very breathable. It is the most common material for jerseys and sporting goods. Wool is making a comeback. It is lightweight, breathable, and regulates temperature very well. Beware: good wool jerseys can cost much more than polyester jerseys. Cut- There are two styles of fit- loose fitting club cut and the close-to-skin race cut. If it’s hot, drink at least 16 oz. (one bottle) per hour. Wear sunscreen! The sun burns the skin but primarily dehydrates us, increasing the need for water intake. When the temperature soars, wear a moisture-wicking base layer like the Hincapie Powercore Mesh under your jersey to keep you cool. Sunglasses protect your eyes from the sun’s UV rays but also from the many bugs and debris that like to fly into your eyes during the summer.